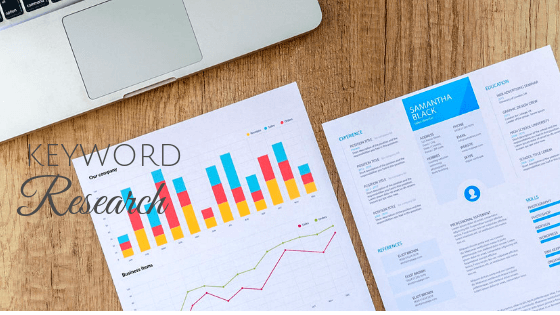 Choosing the right keywords can always turn out to be an overwhelming experience and also costly part of content creation and some SEO strategies. Therefore, it is vital to get down a strategy and a proven one though, which can help in finding the best KWs for blog or website using some of the free tools available in the market. Each marketer is going to have own unique procedure for finding the right keyword. So, if you ever come across any SEO strategies or tools that you might want to incorporate in this procedure, you are always welcomed to do so. Asking sales team and other staff members for suggestions. The time has come to choose relevant keywords from the already made list. If you were customer looking for item, which terms would you like to use for the search? Which one do you think will drive the most sales? After considering the certain keywords on list, you can decide to go for the most relevant ones. Once you have determined the keyword to be used as your main KW, it is time to focus on some of the extra highlighted points, which will clarify the worth of the selected keyword well. Moreover, you have to focus on the KW and its possibility to get rank for in the near future. Visit the Google Keyword Planner and then sign in to create an account. You can further search for new keywords and ad group ideas once you have logged into the keyword planner tool. As the Google’s algorithms are getting more sophisticated day after day, sites are rather doing a great job in covering all angles of topic tend for best ranks. It means every piece of content you choose to produce will include not just one or two keywords, but various synonyms, variations and long tail phrases too. So, you have to work on that as well, just to make the content valid enough for higher SERP rankings. Once you have gone through these stages, working on SEO keyword research seems to be a pretty easy task after all! Couldn’t agree more! keywords are very essential to SEO and it highly affects your page rankings!